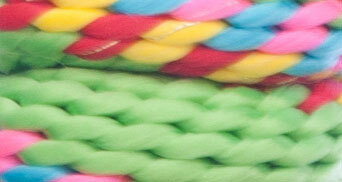 Poly Colorful Lead Ropes are premium poly leads with a "broken-in" feel that is kind to the hands. 5/8" diameter and 9' length with a bolt snap. Colors are just as pictured. Very durable. Will definitely be buying more of these.